Early in the year, I was introduced to Jeanette Walls’ THE GLASS CASTLE and am currently reading HALF BROKE HORSES (which by the way, is very difficult for me to not hyphenate….). I also recently read an article on Walls in the New York Times. Her stories and her personal story are incredible and they are intermixed, as authors are wont to do. It’s hard to say a critical thing about it. I haven’t yet read THE SILVER STAR, but it is now on my To Read List over at Goodreads. When the reviewers say she has a knack for spinning a yarn, they were dead right. 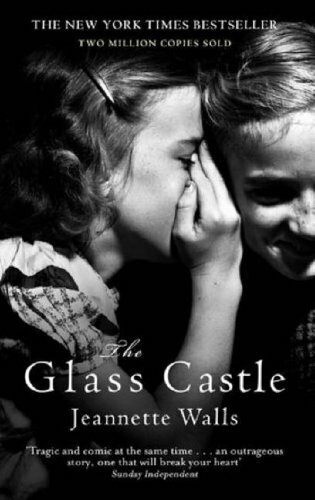 As far as True Life Novels and Memoirs go, I’ve been recommending THE GLASS CASTLE to many who also are considering or in the midst of writing their own story. Walls tells a story, not just her story. It’s often as if she’s a fiction writer approaching real life. That folks, is the way to hold a reader and make them try to find everything you’ve written. When I write mine, I’ll remember the lessons of storytelling, prose, and wit that Walls holds in her own tale. The themes in everything I’ve read by her so far is: Don’t Give Up. Considering that last night I was struggling very hard with giving up on this manuscript that I’ve been working on for a few years now — it was a message I needed to hear. Also given that I live with a special needs child that takes up the time of six parents — it was a message I needed to hear. For that, I am publicly thanking Jeanette Walls. Thank you for sharing your stories. I tell this often to my writing group, but I also feel that everyone reading this needs to know: Your Story Matters. So go write it.